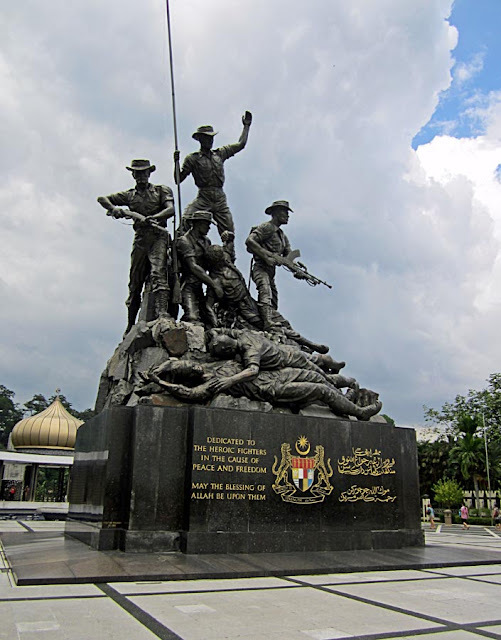 The National Monument of Malaysia, located in Kuala Lumpur, commemorates those who died in Malaysia's struggle for freedom, for example during the Japanese occupation during World War II. This is one of the places that tourists are taken to for sight-seeing. 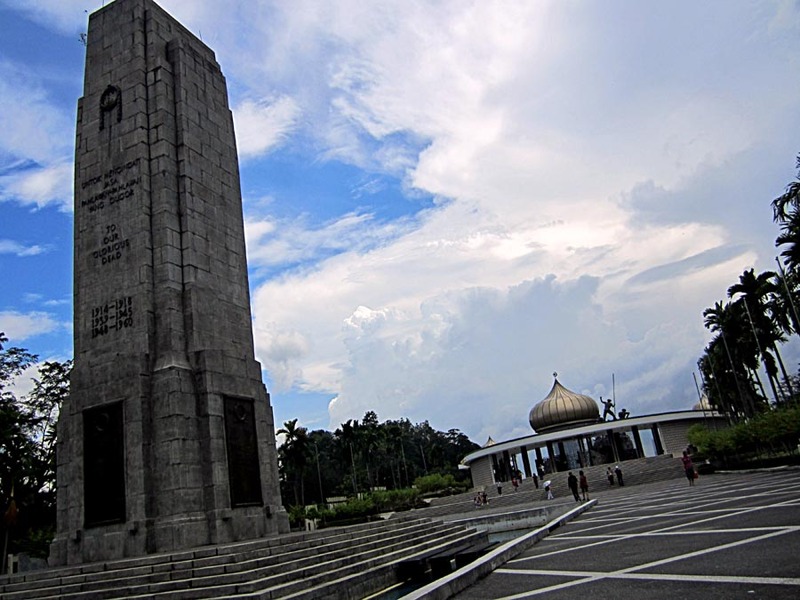 It is not anything great, just another place to see. A pretty fountain and the back of the sculpture. 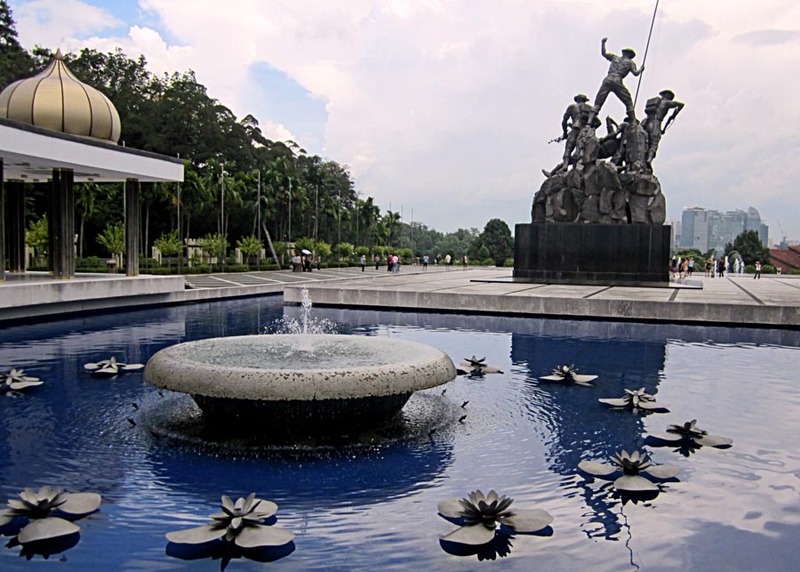 What makes it interesting is that it the world's "tallest bronze freestanding sculpture grouping". This sculpture is of some fallen soldiers and also others with guns and some standing holding the national flag as in a victory position. The soldiers don't appear to be Malaysian, but British. Related Images: Kuala Lumpur Skyline or Kuala Lumpur Skyline Sketch and Silhouette or Kuala Lumpur Skyline at Night photo and colored illustration or see pictures of Monuments from around the world.